Hello, there today I am going to share a very easy snack recipe. I hope you will love it. 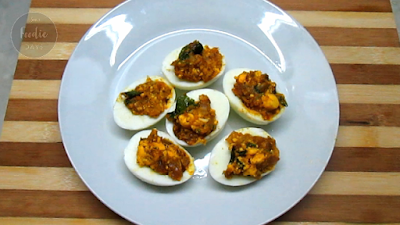 Simply stuff the egg with egg yolk and masala prepared. 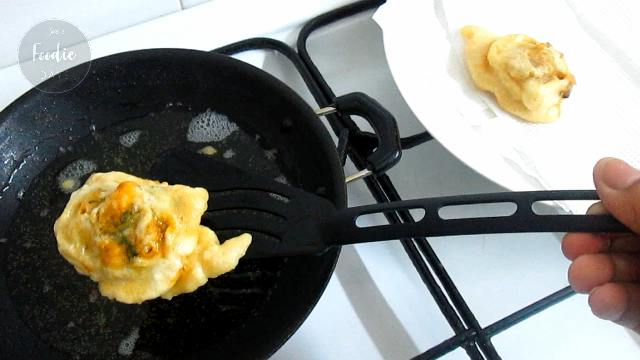 Then dip in the batter and fry it in hot oil. Only a few ingredients are needed in this recipe. It can be prepared easily. Watch my youtube video of this recipe. Ginger and garlic- 1 Tablespoon, Crushed. Green Chillies-1 Teaspoon, Finely chopped. Onion- 1 Onion, finely chopped. Maida/ All purpose flour-3/4 Cup. 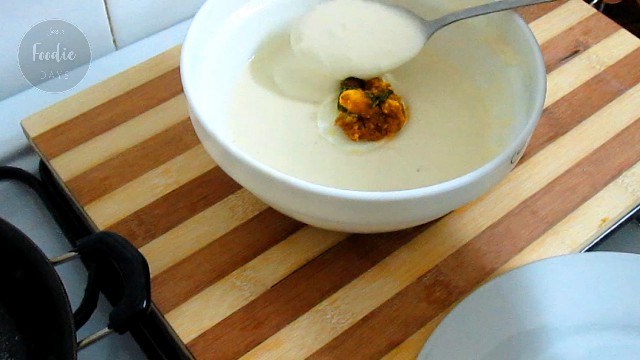 Cut the egg to half and remove the egg yolks from it. Keep this aside for later use. Heat oil(1 tablespoon) in a pan. Add Crushed ginger and garlic. Add chopped green chillies and curry leaves. Saute for few seconds. Add finely chopped onion and salt to taste. Saute the onions until it becomes translucent. Add turmeric powder,garam masala powder and red chilli powder. Saute well for few seconds on a low flame. Add few coriander leaves and mix well. Now add the egg yolks. Mash and mix it very well. Turn off the flame and allow to cool slightly. Fill the prepared masala inside the egg yolk position. Fill the remaining eggs with the onion- egg yolk masala. Keep this aside. Take a wide bowl and add all purpose flour. Add in salt to taste and a pinch of baking soda. Add needed water and make a thick batter out of it. Drop an egg piece into the batter carefully with the filled position upwards. Cover the egg with batter and deep fry in hot oil. Fry until both sides are golden in colour and cooked well. Drain into paper towels and serve hot.